MS packaging is your one-stop-shop for all types of packaging and stationery items. 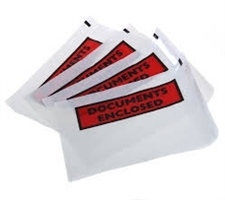 We offer a wide range of Document Enclosed envelopes. On the front side, they have the print, Document Enclosed. On the other side they have a strong adhesive peel-off surface, which can be easily pasted on the boxes of your parcels. These types of envelopes are perfect for sending important paperwork like the invoices and delivery notes, which is by sticking them along with the item that is being shipped. The envelopes with the Document Enclosed give a very professional and consistent look to your parcels. 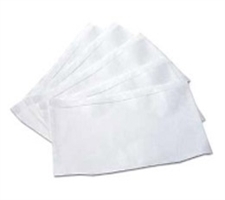 They completely protect the enclosed papers as they are made with good quality waterproof and oil proof materials. These self adhesive envelopes can be pasted directly on the boxes or parcels, because of their strong-tack adhesive features. 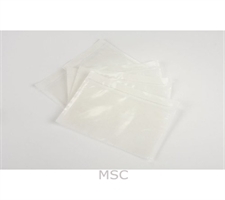 These pouches are available in sets of 500s, and they are available for all types of documents sizes like A4, A5, A6, and A7. The opening of these Document Enclosed envelopes is on the sides, so that you can easily fold the papers of various sizes and insert them inside. What's more, we offer you the best price promise. The prices of items listed on our website are unbeatable, and we have built a strong credibility with our customers by offering them with high quality products. •	The goods that you dispatch will never get separated from the related documentation. •	These Document Enclosed wallets are made with water resistant materials, so that your papers will never get wet. •	You won't have to spend more money on additional postage costs. •	You could send both the parcel and invoices at a single go, thereby making it the perfect money and time saver option.